Dane Huckelbridge’s Castle of Water is only 276 pages long. Around the 200-page mark, I realized how little of the book I had left to read, and I started to experience that stinging feeling behind my eyes that said I was entirely too emotionally invested in this book if I was seriously close to tears because it was almost over. There isn’t much I can say about the plot of Castle of Water without giving away too much. On the surface, this is a book about two people who wash up on the same deserted island after their charter plane is struck by lightning and crashes into the ocean. Barry is a banker from New York who has quit his job to pursue his dreams of being a painter, and Sophie is a French architect on her honeymoon. The book follows their journey as they learn how to survive, mentally and physically, alongside one another. Beneath that surface, however, is a massive tidal pool of emotions. This book does something that always equals magic for me, in terms of writing–it provides the perfect balance of humor, heart, heartbreak, and creative writing decisions that worked. The plot summary of this book might make some readers think it’s a serious survival story; however, make no mistake–this book is funny. From Barry’s constant forgetfulness in regard to his contact lenses (to which anyone who wears contacts can relate) to the sarcastic quips Sophie delivers to him, I found myself chuckling throughout the book. Barry’s sense of humor and near-constant joking not only helped provide a nice break from the constant underlying tension that exists in any survival tale, but they were also perfectly contrasted against Sophie’s critical and aloof personality. As for Sophie, her initial coldness toward Barry, although a bit understandable after what she experienced during the crash, had me feeling very frustrated with her in the first part of the book. I really believed that I was going to hate her character, but just as Barry goes through an emotional journey and becomes much more than a jokester, so does Sophie. Having a front-row seat to witness that journey is absolutely the best part of this book. However beautiful the heart of this book is, the writing is just as beautiful. Dane Huckelbridge has a way of writing that doesn’t feel cliché or overdone in any way. Balanced against the humor and sarcasm lie statements such as “He recalled the night skies above his grandparents’ farm in Illinois; the way the Milky Way made a shimmering ribbon above the frozen prairie had been more than enough to stir a boy’s wonder and put an ache in his soul.” Immediately after funny quips, there were lines like “The fact that they loved each other ceased to be an improbable oddity and instead became as natural and reliable as the rains.” And spread throughout the book are second-person interjections that help explain any possible plot holes, such as why search parties never came near Barry and Sophie. 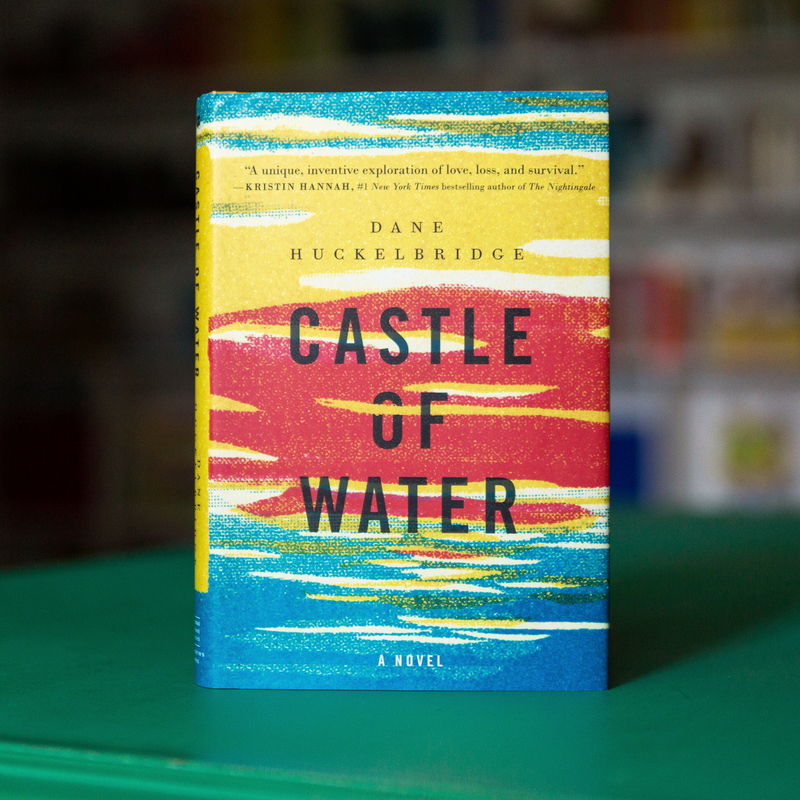 Those interjections tend to come across as cheesy attempts at creativity in other books, but there is nothing cheesy about Dane Huckelbridge’s mastery of the technique in Castle of Water. Dane Huckelbridge has crafted more than a simple castaway story. By the time I finished Castle of Water, I was absolutely in love with Barry and Sophie, and I was genuinely heartbroken that there was not more of their story to read. Posted in FictionTagged best books of 2017, book review, Castle of Water, Dane Huckelbridge, Fiction, literary fictionBookmark the permalink.